This week we have been preparing for Mickey’s Not So Scary Halloween Party but outside it isn’t feeling like Fall yet. I decided that nothing says Fall in Florida like faking it with a pumpkin recipe. I was thinking about Pumpkin Pie but I felt like I needed something new and different. 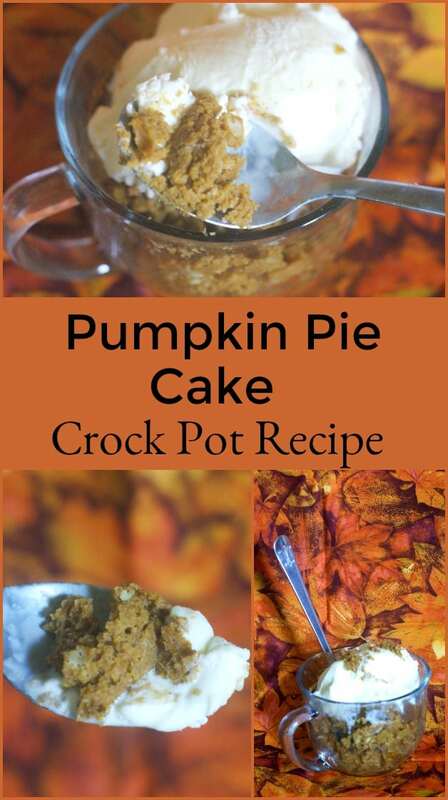 That is why I created this pumpkin pie cake crock pot recipe. It’s a combination of the deliciousness of pumpkin pie with the texture of a moist cake. I’m sure you will enjoy it. I know we did. When I was 17 I moved to Miami. I spent many great years there and that is where I met my husband. We left Miami for Central Florida but there was one thing missing from my life. I missed the amazing Cuban food. To be specific, I missed mojo pork. 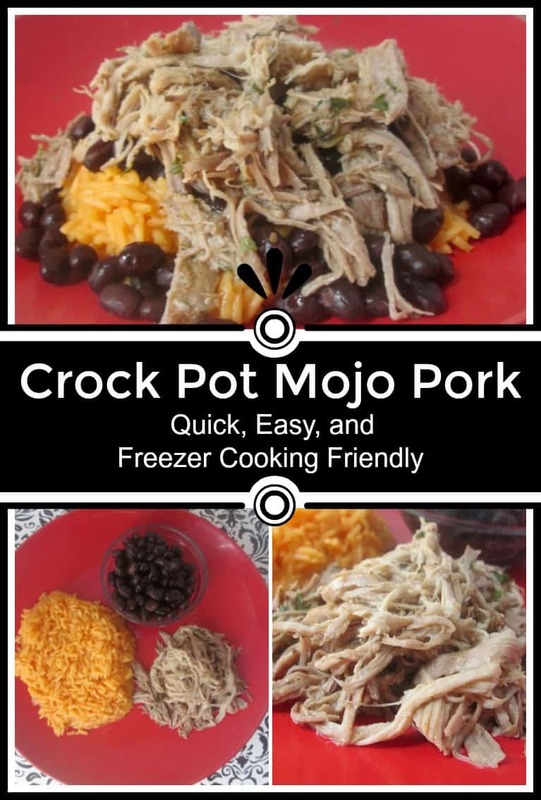 I put together this crock pot mojo pork recipe as a way to get my fix of Miami from home. The best thing about this recipe is that it is crazy easy and really forgiving. One of my favorite meals that my husband makes me is Chicken and Dumplings. However, there are days when he just doesn’t have time to be in the kitchen cooking. I wanted to take his recipe and find a way to bring it to the crock pot so that we could fix it and forget it. This has been great for sick days or days when we just need a comfort food. 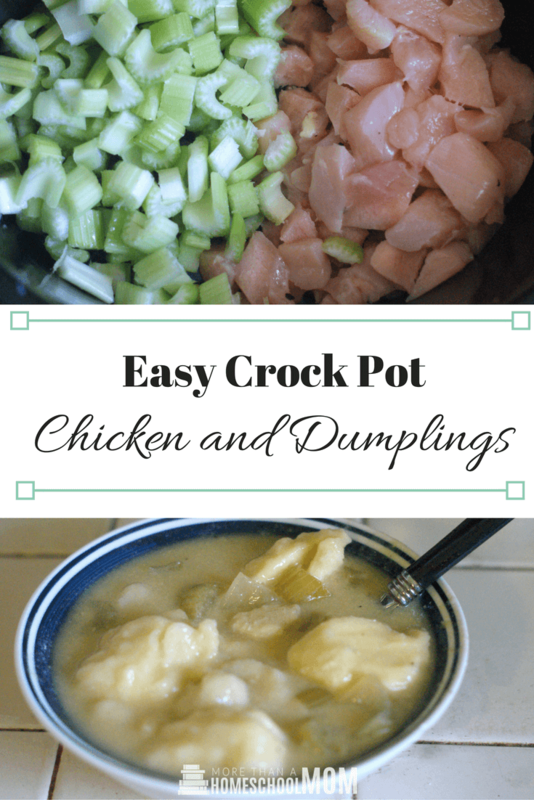 I have to tell you, I am now in love with this crock pot chicken and dumplings recipe!